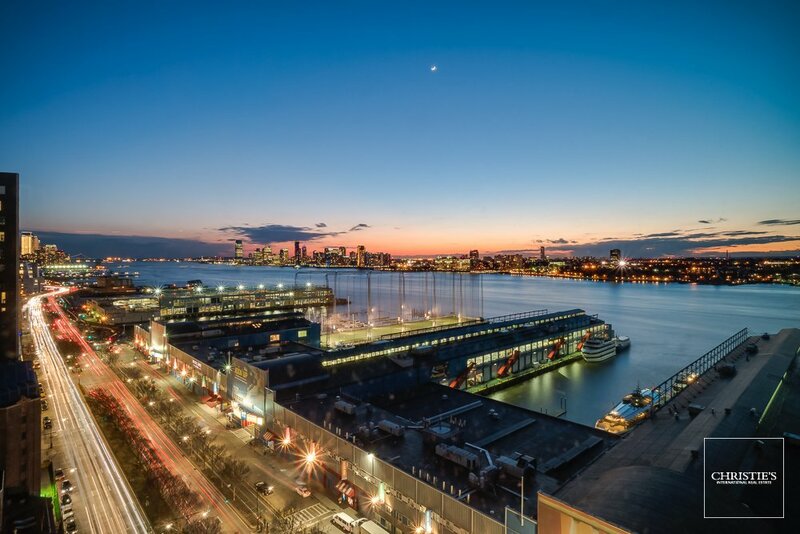 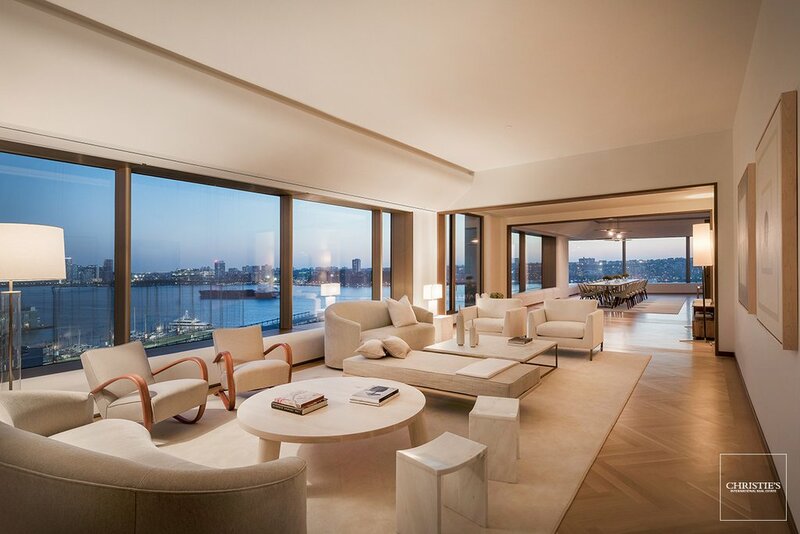 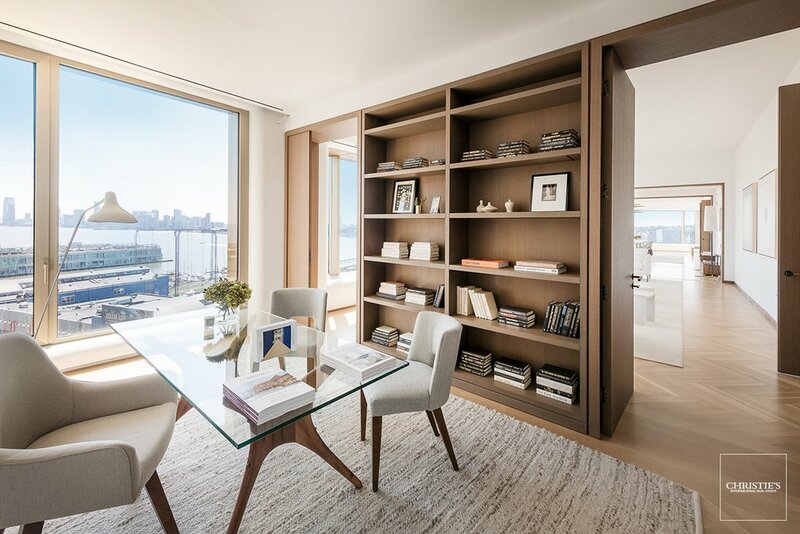 West Chelsea Waterfront Grandeur Prominently located on Manhattan's waterfront in the vibrant West Chelsea Art District, the 15th Floor at 551 West 21st Street is one of the grandestwith over 8,300 SFand most exceptional downtown properties on the market today. 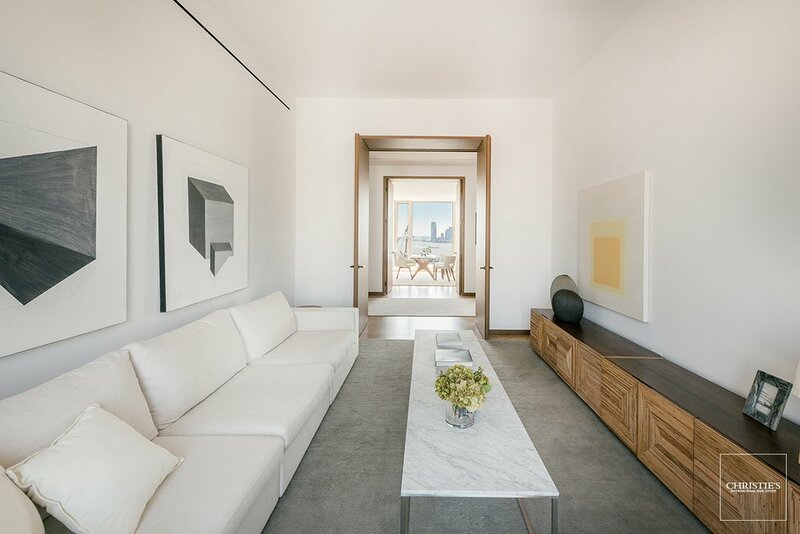 On a premier art block, with world-class gallerists Paula Cooper, Barbara Gladstone, Larry Gagosian and David Zwirner as neighbors, and flanked between the nightlife, restaurant and shopping destination of the Meatpacking District, the countless restaurants, hotels, businesses and amenities arriving to Hudson Yards, and the bucolic environs of the nearby High Line and Hudson River Parks, this extraordinary high-floor residence is truly at the center of it all. 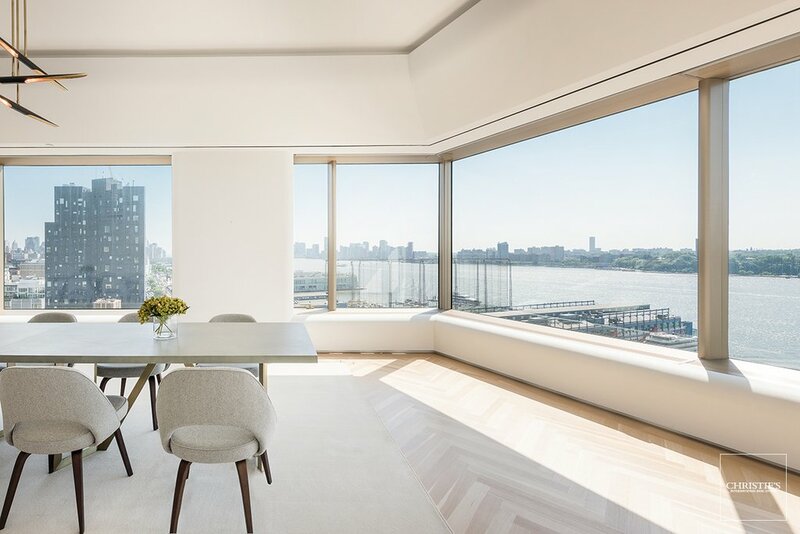 Expertly designed by Foster + Partners, this remarkable seven-bedroom, nine-bathroom home features sweeping, 360-degree views amongst two distinct wings, separated by an 82-foot long south-west facing grand room. 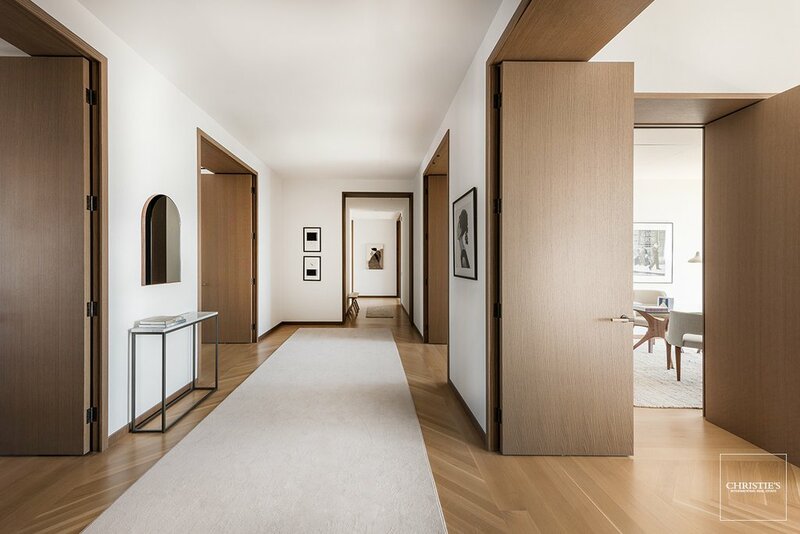 Direct elevator access into a large private vestibule with custom cove lighting detail offers a stately entrance to the 15th Floor. 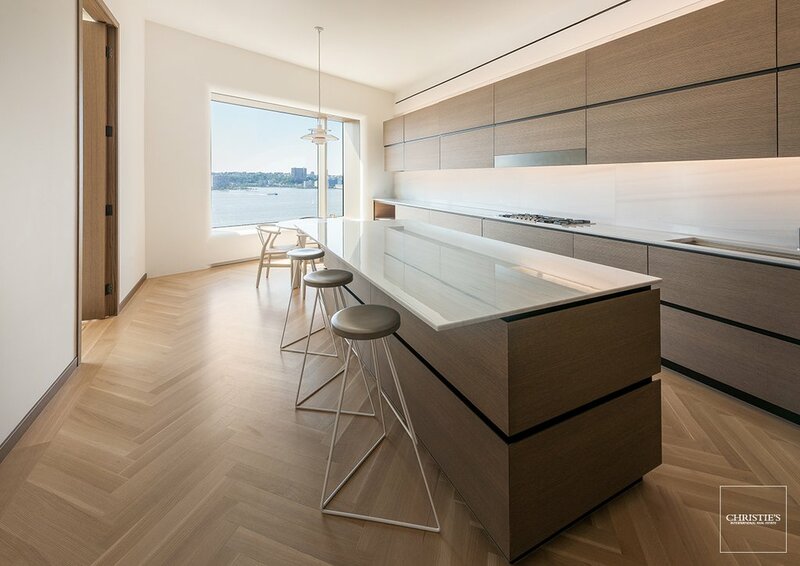 The property features French-inspired oak herringbone wood floors, naturally stained oak cabinetry and custom millwork throughout. 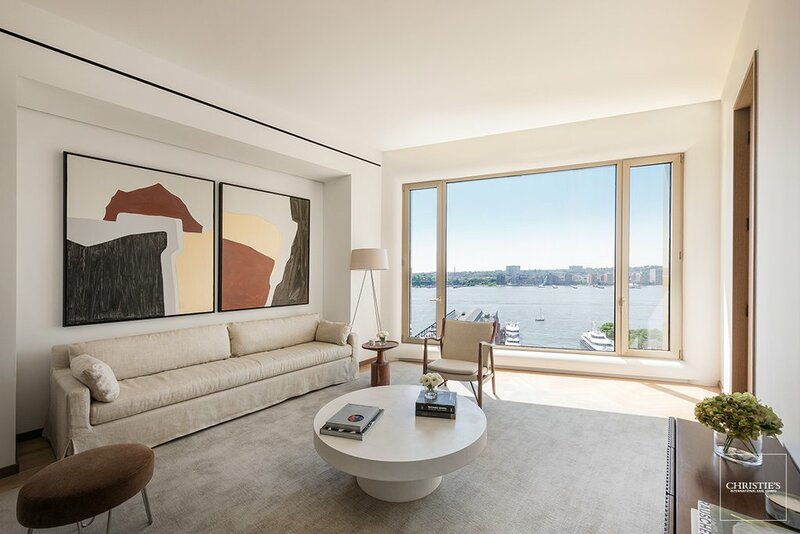 Perfect for any art collector, this graciously proportioned home features nearly 400 linear feet of wall space, 11-foot ceilings, 9-foot doorways, and expansive picture windows with luminous metal surrounds that offer a deep facade for perimeter seating. 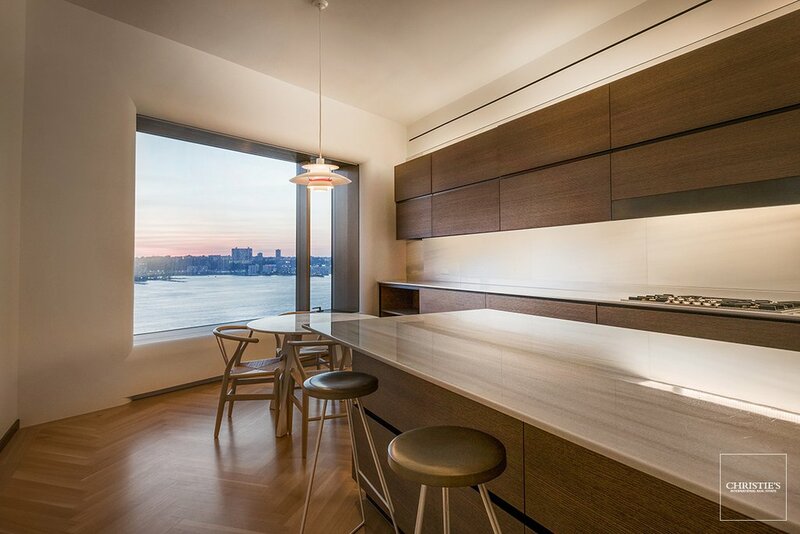 The western wing of the apartment includes four of the seven bedrooms, a separate dining room and an eat-in, windowed kitchen overlooking the Hudson River that features hand selected beveled Blanco de Macael marble countertops and backsplash, as well as top-of-the-line appliances. 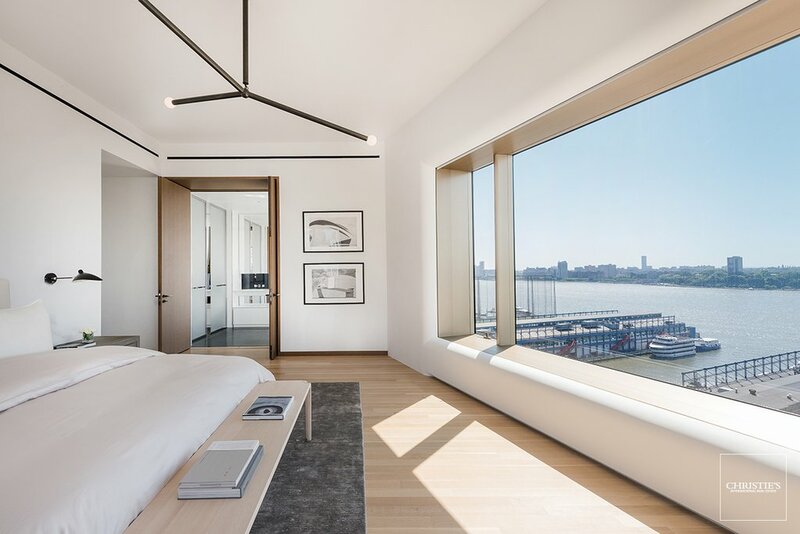 The stunning corner master bedroom suite with direct river views includes a walk-in closet with custom millwork, a luxurious master bathroom with double door entry, a freestanding tub overlooking the river, radiant-heated Luna Black granite floors and a custom-designed Corian vanity. 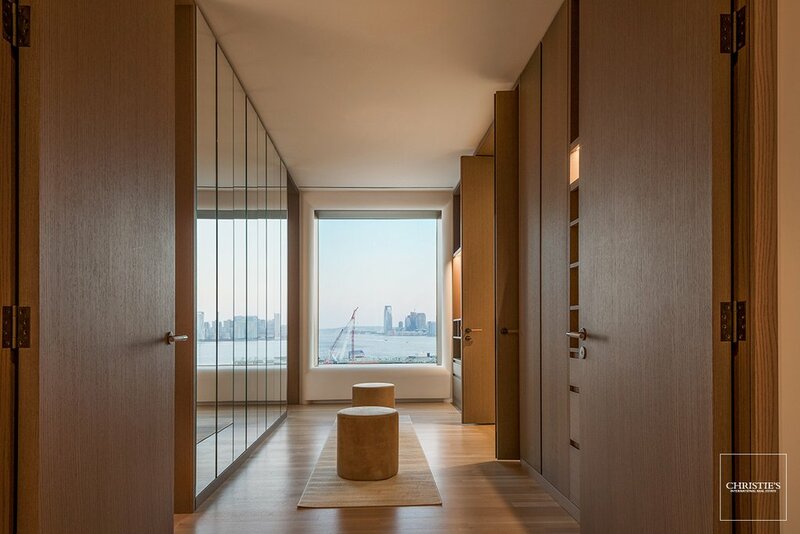 Other features include an enclosed shower and separate water closet with floor-to-ceiling translucent glass doors. 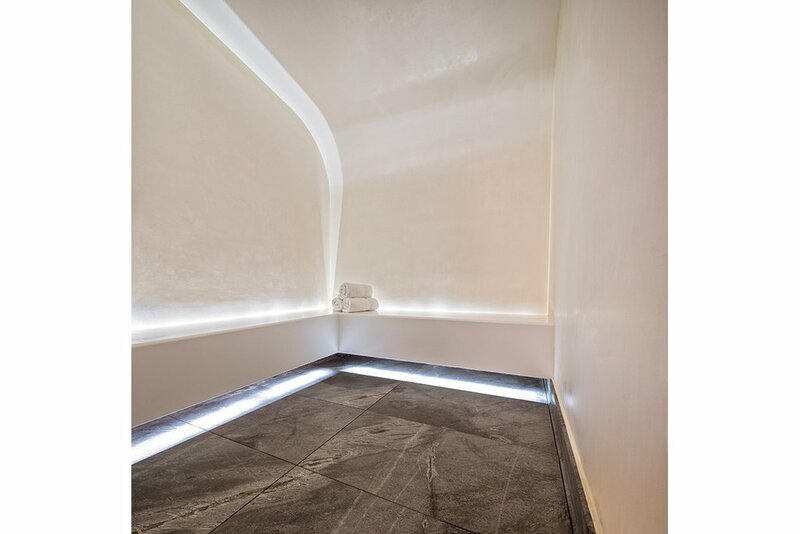 The three additional bedrooms in this wing boast en-suite bathrooms with Travertino Striato stone floors and elegant Dornbracht fixtures. 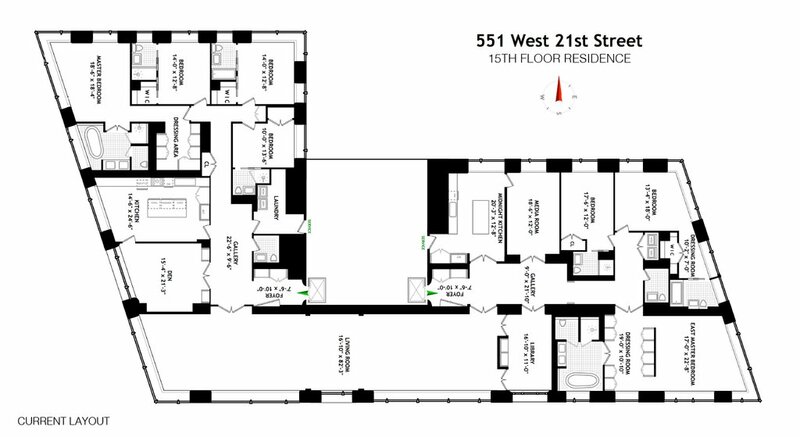 Also included is a full laundry room and powder room. 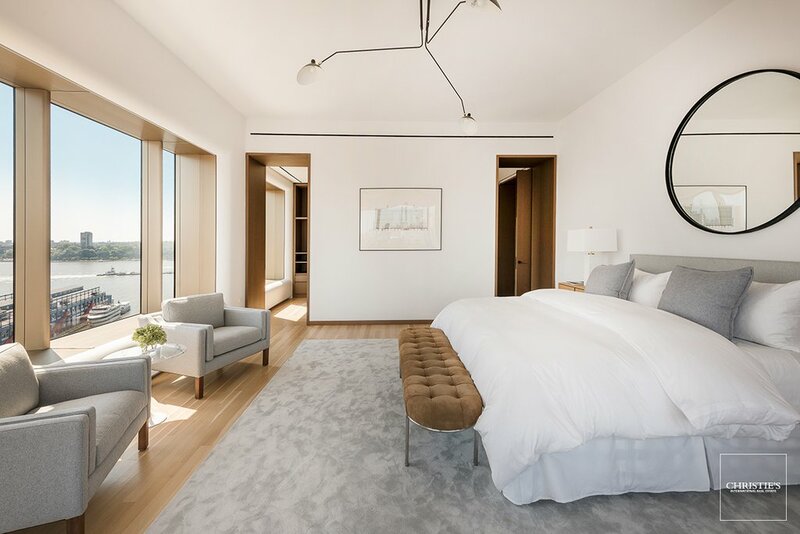 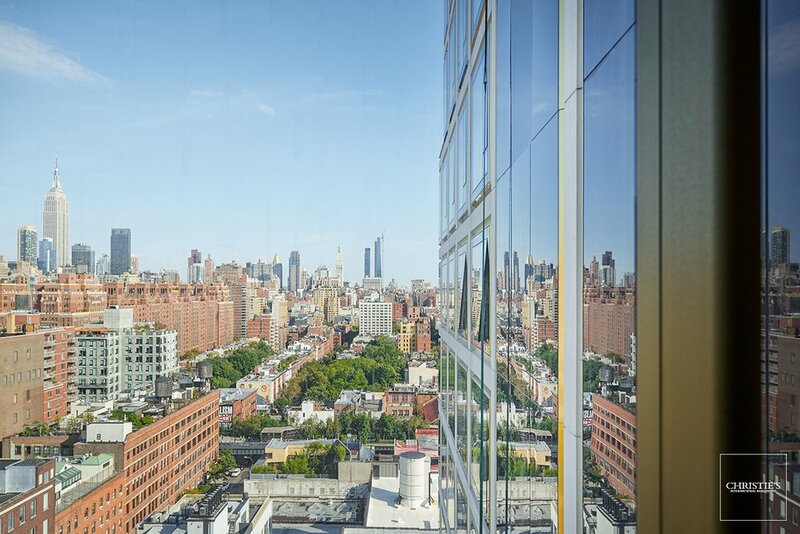 The eastern wing offers dramatic New York City landmark views, including the High Line Park, Empire State Building, midtown Manhattan and beyond, and features three additional bedrooms, including a secondary master with a large, windowed dressing room and en-suite master bathroom. 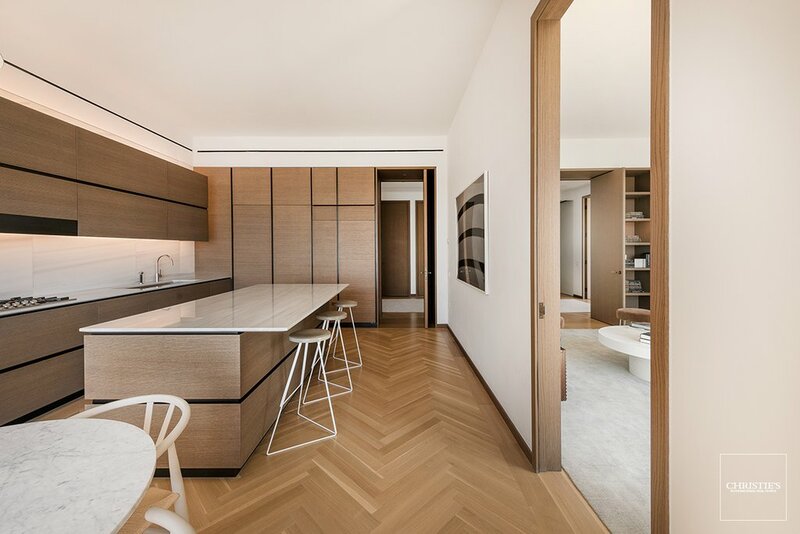 A library with custom built-in Molteni shelving, a media room/den, midnight kitchen, and an additional powder room and secondary laundry room complete this wing. 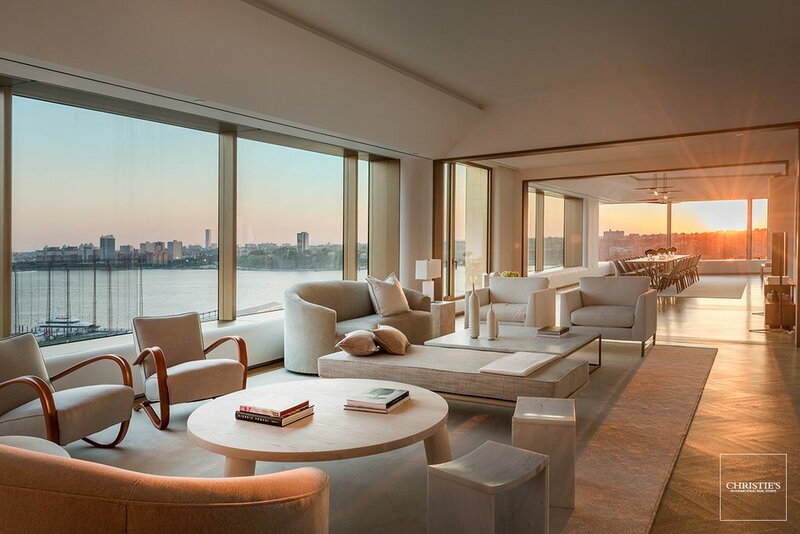 The 15th floor is fully integrated with custom electronic shades and pre-wiring for the most advanced home technology systems. 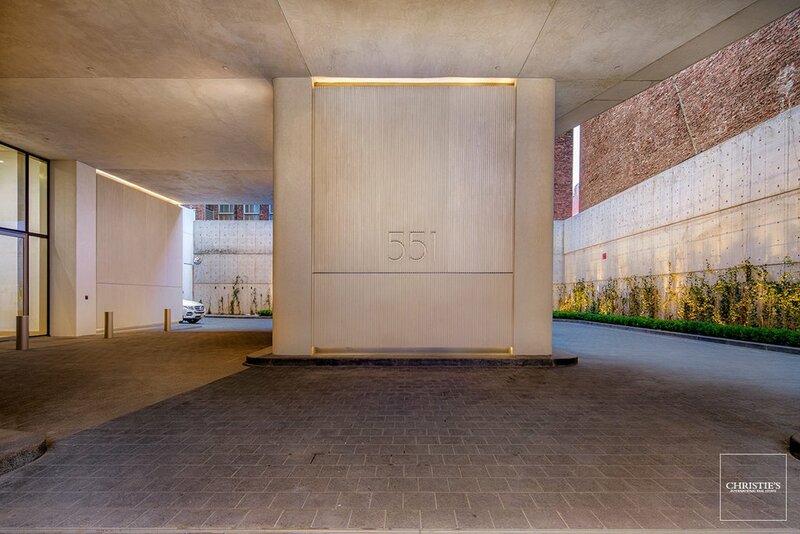 Included in this offering are three parking spaces in the building's valet-attended garage, accessed through a private, gated porte cochre with a 20-foot green wall. 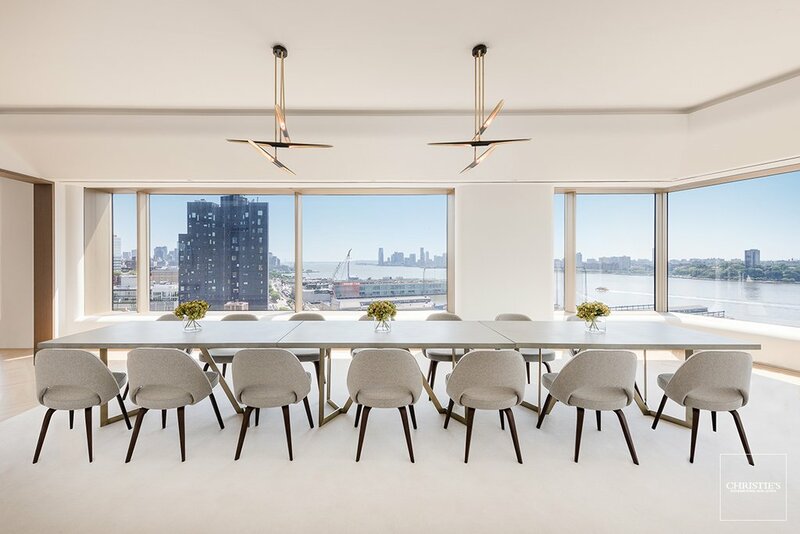 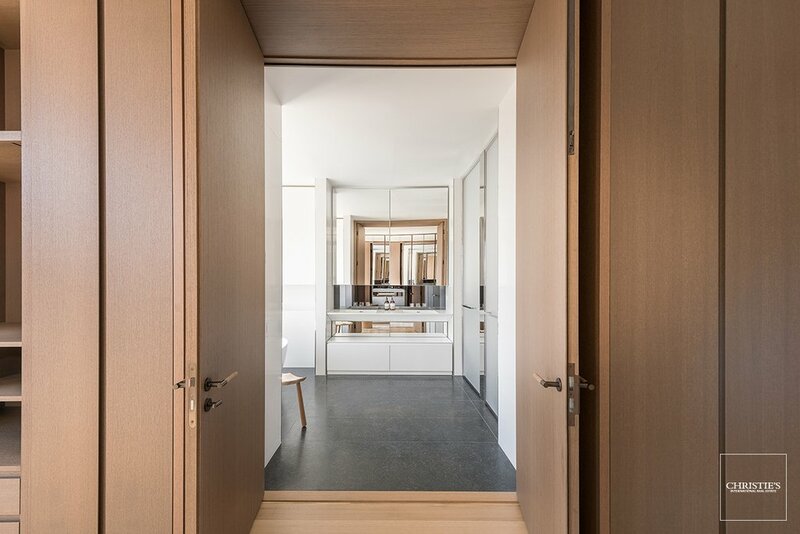 With just 43 private homes on the Hudson River in West Chelsea, Foster + Partners' 551 West 21st Street offers an exclusive and urbane setting in one of the most sought-after neighborhoods in the world. 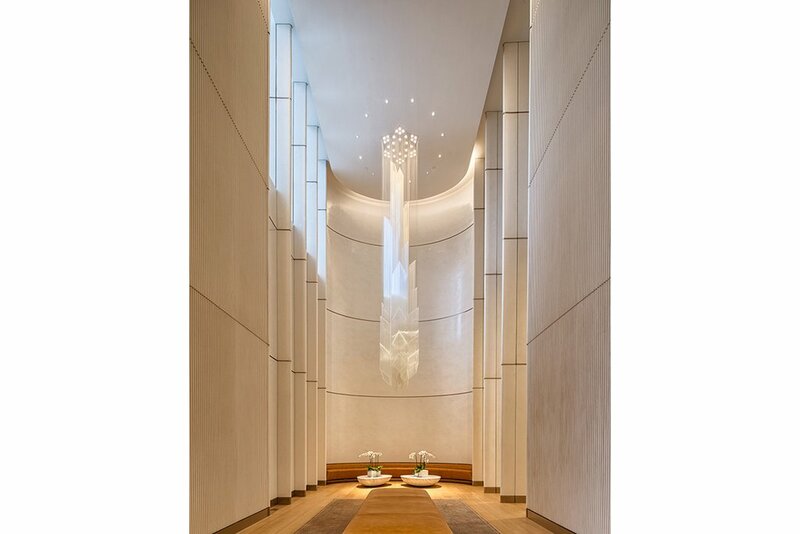 This singular building features a dramatic, awe-inspiring 34-foot double height lobby with custom designed chandelier and a prismatic glass wall, allowing natural light to flood the space. 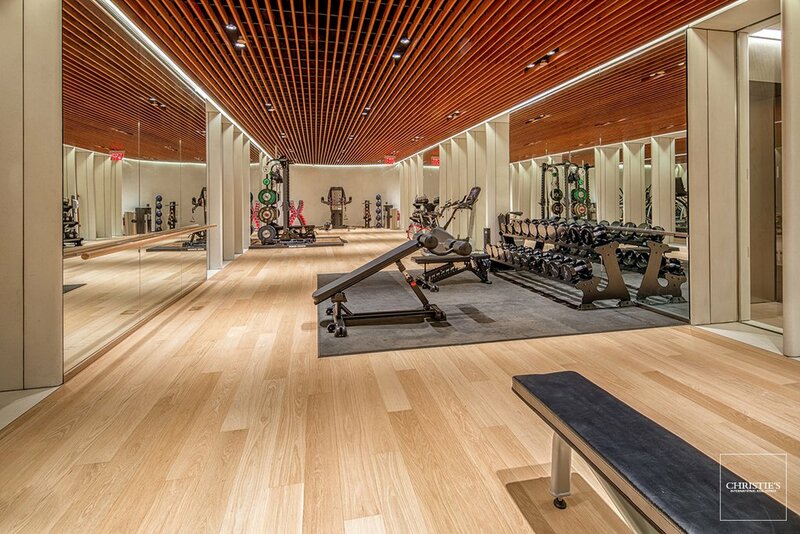 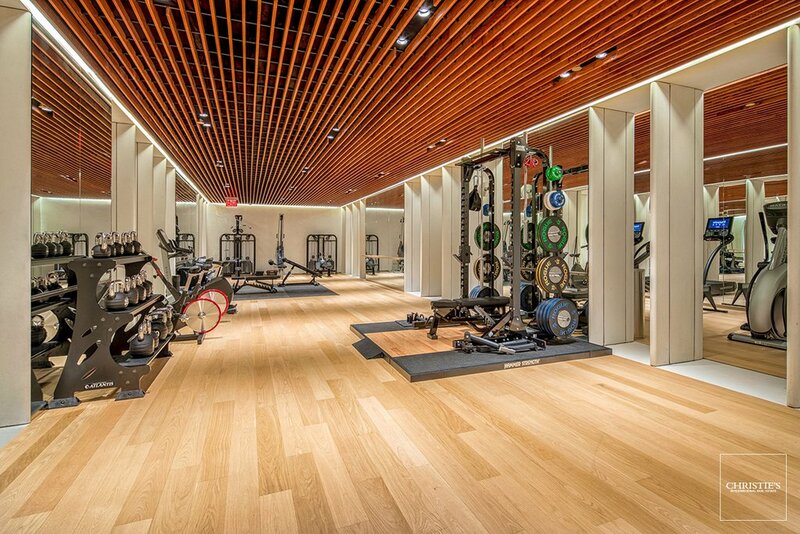 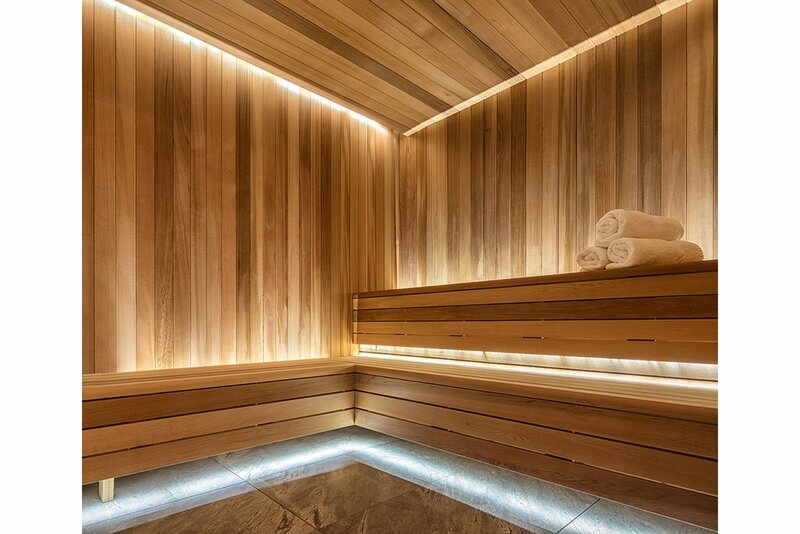 Additional amenities include full-time doormen and porters, a state-of-the-art fitness center with a his and her spa and sauna, treatment room, yoga room, residents' lounge, children's playroom, bike storage, a live-in super and a dedicated, separate service entrance.